Her commercial heritage still shines through her lines, as it should, given that Absinthe ventures to cold climates as much as warm ones. She also bears a bright-yellow funnel. Regardless of what the temperatures are outside, inside colorful art and furnishings warm the spirit. 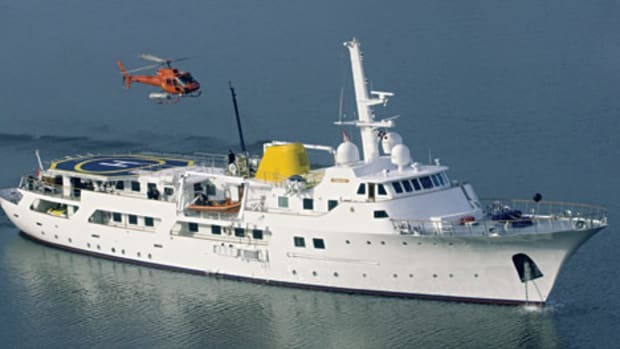 She&apos;s available for sale for just shy of $16 million.